What Exactly is Rosacea and How Can it Be Treated? You have been recently diagnosed with rosacea, or you may have seen some of the advertisements for treatments which have flourished in recent years. If so, you probably have many questions. Is rosacea just another name for adult acne? What are the causes? And, importantly, are there treatments that can make it go away? In addition, what are we learning about how rosacea may be linked with some other medical conditions? Rosacea is a condition which involves the abnormal behavior of the pilosebaceous unit, which is a large word used to describe the pores, or a combination of the hair follicle, the hair shaft, and the sebaceous gland. While it looks very much like adult acne, it is not adult acne. With rosacea, pimple appearing lesions are common, but blackheads (comedones) are not. Over the past several years drug companies have been advertising medications which can help with rosacea. Whether direct-to-consumer advertising is good or ethical is another question, but with rosacea, these ads have made a difference for some people. In the past, rosacea was one of those skin conditions that most people didn't realize they had (or believed they had something that wasn't treatable), until permanent changes had taken place. Many people finally spoke with their doctors only after they were fed up with the way they looked. Thankfully rosacea is a condition which is very treatable, as long as you realize you have a treatable condition. The hair follicle mite Demodex folliculorum may be related, although this relationship has been called into question. Some people with rosacea have more of the mite on their skin, but others who have this mite have no symptoms. Infection with Helicobacter pylori has been linked with rosacea and there is some evidence that H. pylori, the same bacteria which causes stomach ulcers, may play some type of role in rosacea. With H. pylori the relationship does not mean that the bacteria is present in the skin, but rather a skin response to the bacteria in the intestinal tract may play a role. Red, sometimes swollen, the skin around the middle of the face—the forehead, cheeks, and nose. An enlarged, pitted, bulbous nose, called rhinophyma, which occurs as fibrous tissue and sebaceous glands enlarge. Symptoms usually wax and wane, with remissions followed by flare-ups of symptoms. Roughly 20 percent of people with rosacea also experience ocular rosacea, or rosacea of the eye, though ocular rosacea sometimes occurs without any facial changes. Symptoms often begin with red and swollen eyelids and a feeling as if something, such as a piece of sand, is in the eye. If you are having any eye symptoms at all, talk to your doctor, who may recommend seeing an ophthalmologist. There are many treatments which may be used, including taking a supplement of omega-3-fatty acids. There appears to be some link between irritable bowel syndrome and rosacea, although the precise relationship is not yet understood. People with rosacea appear to have an increased risk of breast cancer (25 percent higher), non-melanoma skin cancer, and liver cancer, but how these are related is not currently known. Rosacea has also been found to have a significant correlation with the development of dementia, especially Alzheimer's disease. Other conditions which have been linked to some degree with rosacea include Parkinson's disease, anxiety, and depression. Most of the studies looking into these links were published in 2016 and 2017 so there is still much to learn about the possible association of rosacea with other conditions. Oral Medicine - Several agents can be used to treat rosacea. Erythromycin and tetracycline are the main oral antibiotics used. Other antibiotics that are commonly used are doxycycline, Flagyl (metronidazole), and Minocin (minocycline). Some people only need to take antibiotics for flare-ups, while others have to take antibiotics every day to suppress symptoms. Usually, it is best to go with the smallest dose possible to give the desired results. The antibiotics help more with the red bumps and acne-like lesions on the face. They don't help as much with the redness and blood vessels. Isotretinoin (Accutane) has been used for stubborn rosacea but can have severe side effects such as birth defects in women of childbearing age, severe skin and lip dryness, and depression. Ivermectin (an oral medication) has also emerged as a therapy for rosacea. Ivermectin is a medication which is used to kill mites (such as with scabies) and is prompting researchers to look more closely at the possibility of the Demodex skin mites as having a role in the condition. Topical Medicine - Several topical agents can be also be used to treat rosacea. The most commonly used agent is Metrogel (metronidazole). Another topical agent is sulfacetamide and sulfur lotion that can be found in a flesh-colored formulation to help hide some of the redness. The most important first step in managing rosacea is to recognize you are dealing with the condition and that it is not adult acne. Most treatment approaches include both treating the rash and recognizing and avoiding the triggers which can make it worse. When the condition has been present for a prolonged period of time, cosmetic surgery may be helpful for some people. If you've been diagnosed with rosacea, you may feel anxious to learn that rosacea has been linked with some conditions ranging from Parkinson's disease (rosacea is an independent risk factor) to breast cancer. Unfortunately, it's too early to understand the significance of these findings. What these findings do suggest is that you should consider making an appointment to visit with your doctor and discuss these findings, especially to make sure you are up to date on cancer screening tests and more. In fact, sometimes a little concern can leave someone with a predisposition in a better position than someone without a predisposition who isn't worried. Being proactive can make a difference in your health. Dessinioti, C., and C. Antoniou. The “Red Face:” Not Always Rosacea. Clinical Dermatology. 2017. 35(2):201-206. Egeberg, A., Fowler, J., Gislason, G., and J. Thyssen. Rosacea and Risk of Cancer in Denmark. Cancer Epidemiology. 2017. 47:76-80. Egeberg, A., Hansen, P., Gislason, G., and J. Thyssen. Exploring the Association Between Rosacea and Parkinson Disease: A Danish Nationwide Cohort Study. JAMA Neurology. 2016. 73(5):529-34. Egeberg, A., Hansen, P., Gislason, G., and J. Thyssen. 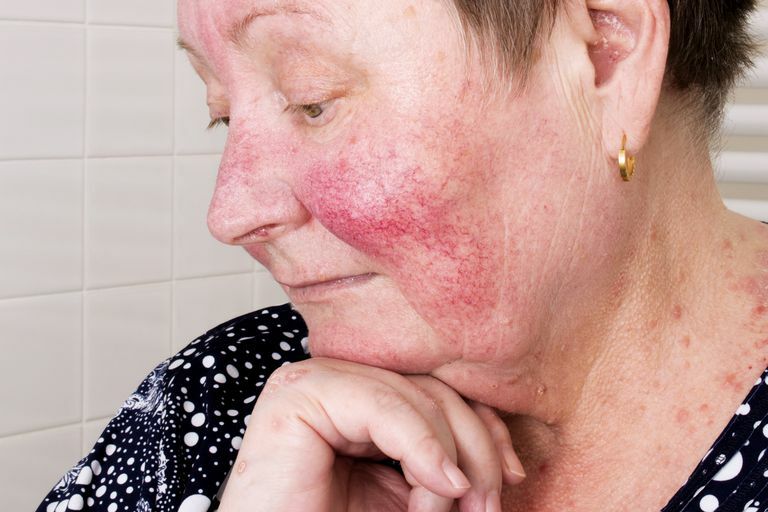 Patients with Rosacea Have Increased Risk of Dementia. Annals of Neurology. 2016. 79(6):921-8. Layton, A. Pharmacologic Treatments for Rosacea. Clinical Dermatology. 2017. 35(2):207-212. Moran, E., Foley, R., and F. Powell. Demodex and Rosacea Revisited. Clinical Dermatology. 2017. 35(2):195-200. Could Your Adult Acne Really Be Rosacea? Can Diet and Skin Creams Help Rosacea?